Posted On May 08, 2017 by Team iCynosure. Sometimes my skin feels great while at other times it is full of break-outs, with a deadly combination of dry skin, discolouration, pigmentation, and fine lines. But these skincare concerns are not uncommon in a city like Mumbai, where I'm constantly exposed to numerous environmental aggressors that not only pose everyday skin issues but also a long-term skin damage. Apart from the regular culprits; UV rays, pollution and smoke, one of the most crucial aspect of routine life that harms the skin is the artificial cooling during the summers. The temperature fluctuations that forces me to switch on the air conditioner, which actually does more harm to my skin than what I'd perceive. Controlled cool air not only affects the natural humidity in the air but also leaves the skin flaky and dry and in turn, causes skin irritation and decomposition of the skin cells. So the question is how do I fight nature to keep the natural balance of my skin? The trick lies in the simple understanding of my skin and giving it the natural ingredients to grow and flourish. My usual go-to mantra for a healthy skin is creating a good skincare routine. Just as all skincare experts suggest, I follow the Cleanse, Tone and Moisturise formulae. While the benefits of cleansing, toning and moisturising are obvious, what some of us do not realise is that these CTM products may include harsh ingredients such as alcohol and parabens, which induce allergic reactions. So as I always say the most important aspect of my skincare routine is picking the products that suit my skin type. However, if you are not sure of what would work or not work for you, pick products with a natural base, infused with essential oil and free of alcohol and artificial scents. 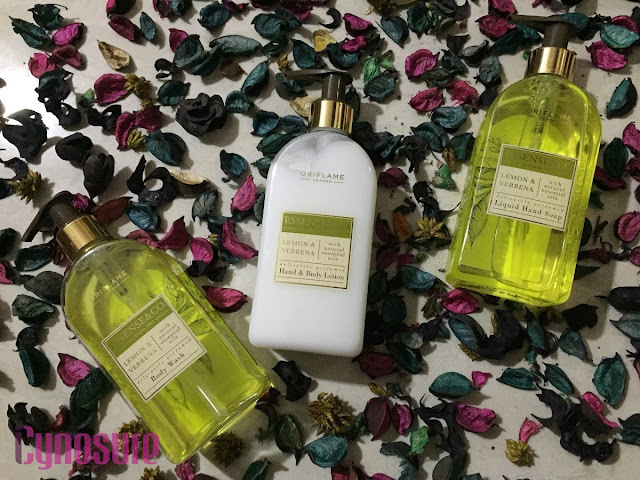 One such range of skincare products that I'm currently crushing on is the newly launched collection Essense&Co by Oriflame India. 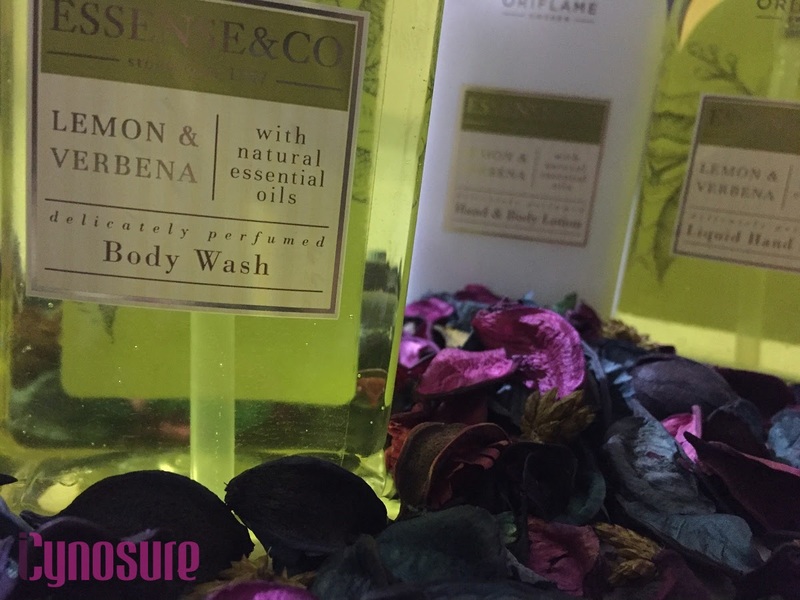 Essense&Co is a premium bath and body range that is packed with the finest quality essential oils, that offers sumptuous textures and premium natural flavours. 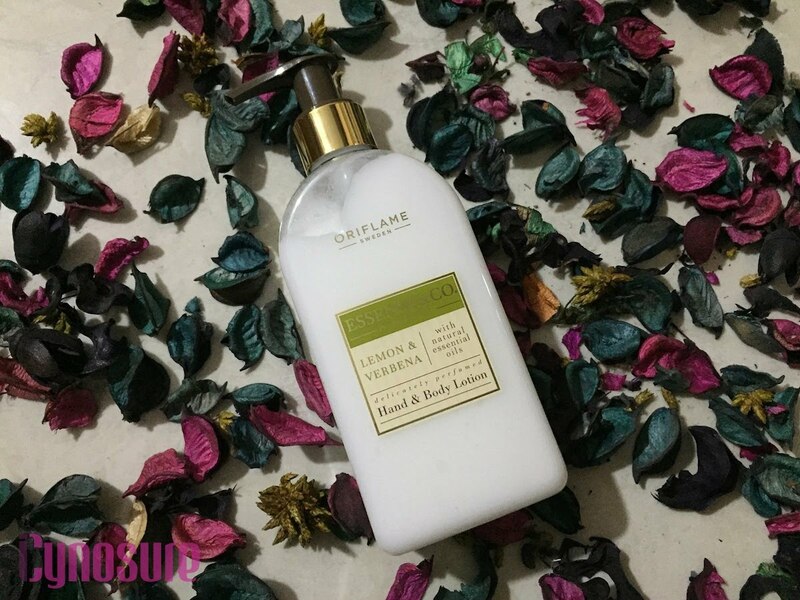 The products are a pure indulgence that ensure a luxurious experience with a touch of nature, which is true to the Swedish heritage of the Oriflame brand. The hands are the most neglected parts, where skincare is concerned and thus brands are primarily focusing their product ranges to counter this. Essense&Co Lemon & Verbena Liquid Hand Soap is a liquid hand soap infused with natural essential oils that not only hydrate the skin but also delicately perfumes the skin with the uplifting Lemon and Verbena undertones. I loved the moisture-rich formulation, that would work well across all skin types and the gentle lather, that would be perfect for daily use. Body washes are meant to remove impurities from the skin, leaving it dewy while concealing the skin pores without disturbing its natural equilibrium. 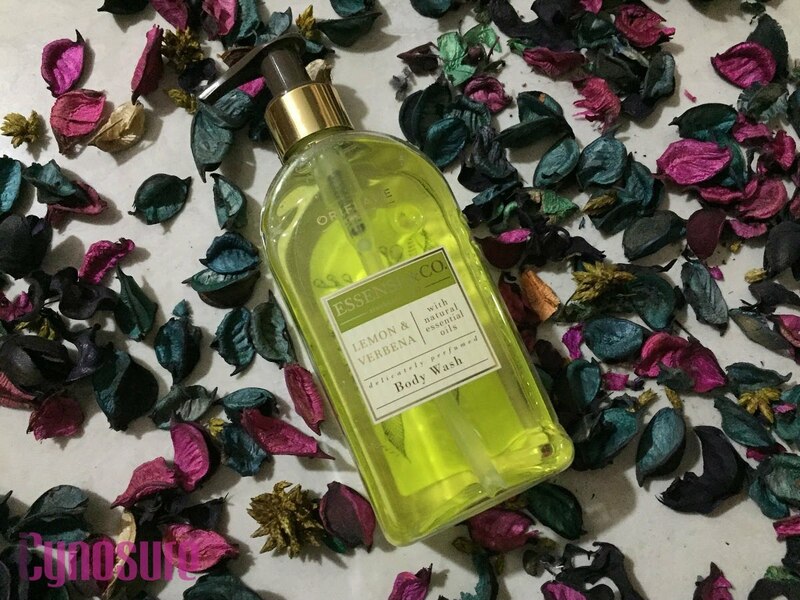 Essense&Co’s Lemon & Verbena Body Wash is a hydrating body wash blended with natural essential oils of lemon and verbena. 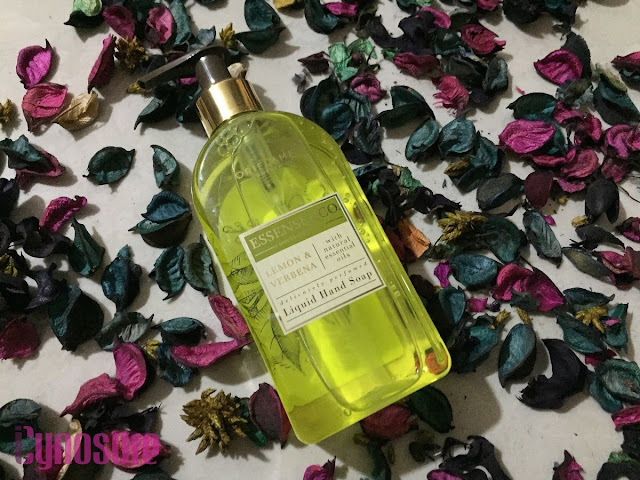 I absolutely love the delightful creamy lather that it produces, conditioning the skin making it satiny soft and beautifully scented with refreshing citrus notes. Body Lotions are perfect for replenishing the skin with the much-needed hydration and counter areas affected by mild dryness. Essense&Co Lemon & Verbena Hand & Body Lotion is light and easily absorbed into the skin leaving it visibly radiant and supple. I love the fact that it has a luxurious, non-greasy effect on the skin’s surface whilst keeping it moisturised and healthy. Even though I have sensitive skin the body lotion helps seal moisture deep within and keeps it hydrated and supple. Since I’ve started using the Essense&Co range, I’m amazed at the gentleness and healing power of the products. The main ingredients Lemon, known to have a range of beauty benefits and Verbena, touted as an antispasmodic, antimicrobial and hypoallergenic work wonders for the skin making it highly elastic and healthy. Given the price point, life cycle and ingredient list of the range, I would highly recommend it to all, irrespective of your skin type. To know more about the range, you can check the complete range of products here, or follow Oriflame on Facebook to stay informed. Have you used the Essense&Co’s products? If so let me know your thoughts, and also let me know your skincare routine in the comments below.